This is it—you’re at the final stretch, so close to graduation you can nearly feel the ceremonial cap on your head. All of your hard work is about to pay off, as the years of studying have prepared you to advance toward a future of new opportunities. With that being said, just because you’re nearing graduation doesn’t mean you can let off the gas. It’s essential to make sure you’ve covered all your bases to ensure your application to graduation is approved. In this post, we’ll share some important advice relating to graduation applications so that you can make sure you’re ready to wear that cap and gown. Every school and degree program will have different requirements when it comes to graduating. You’ll likely need to earn a certain amount of credits, complete a degree audit or follow other specific instructions to be eligible for your diploma. Have you made sure that any transfer units have correctly been applied to your graduation goals? Your school’s resources, including guidance counselors and online guides, will help you determine your specific needs. Be sure to thoroughly understand all the requirements so that you’re not surprised when the time comes to apply. Many schools offer a few different graduation terms throughout the year—typically in fall, spring and summer. Each term will have a specific deadline you’ll have to meet to qualify. Again, this is where a guidance counselor is an invaluable resource in determining your path ahead. Late applications may be accepted with your school but may induce a penalty fee. Stay on top of your graduation plan to meet your target deadline, and if you happen to fall behind, you can set your sights on the next graduation term. Once you’ve got your undergrad degree under your belt, you may decide to attend graduate school. Perhaps you are passionate about a specific subject and want to learn more, or you foresee better career opportunities with a more advanced degree. Though there are many factors to take into consideration when it comes to deciding whether a graduate program is right for you, your undergraduate degree can mark a new beginning in your education. There are two main types of graduate degree: a master’s degree and doctoral degree, which are also known as a PhD. A master’s degree can provide you with specialized knowledge within a field of study, while a doctoral degree is typically focused on developing new knowledge within a field and conducting research. There are three routes you can take on a graduate school path: a PhD program, a two-year master’s program or a combined masters-PhD program. When you want to really become an expert in a given field, a graduate degree is the way to go! There may be benefits to graduating that go beyond the classroom. Ascent offers a cashback graduation bonus that can make graduation day even sweeter. Some graduation reward programs may require you to apply before your graduation date comes, so be sure to look into the terms and conditions as soon as you can. Your employer may offer graduation bonuses, and you may be able to find deals on car and home loans as well. Individuals and businesses alike recognize the hard work that earning a degree requires, and many are happy to reward you for your efforts. Commencement is a time to celebrate the achievements of new graduates. It’s a time for your college to proudly acknowledge its departing students as they move on to the next phase of life. Your school may have certain requirements or requests for your upcoming commencement, such as guest registration, and you may need to purchase your cap and gown at your school store. There are also personal arrangements to make involving family invitations and travel arrangements. By making the proper arrangements for commencement, you can make sure that this educational milestone is honored in the best possible way. 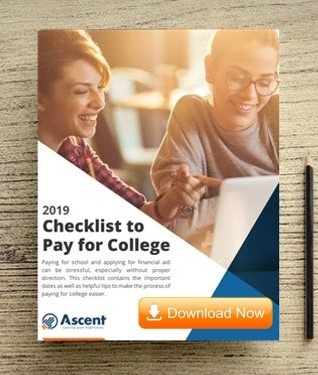 At Ascent Student Loans, we are committed to providing students and graduates with the resources they need to succeed in their educational journey. Whether you’re looking to enter the workforce after graduation or apply for a graduate program, it’s essential to have strong financial literacy skills to ensure a thriving future. That’s why we provide helpful tips and advice section with the latest in student financial news. No matter what your goals are, Ascent can be your partner every step of the way. Ascent Student Loans is determined to providing students with the resources they need to make their educational dreams come true. Stay informed with the latest in student life tips and tricks by checking back at our blogs page often! 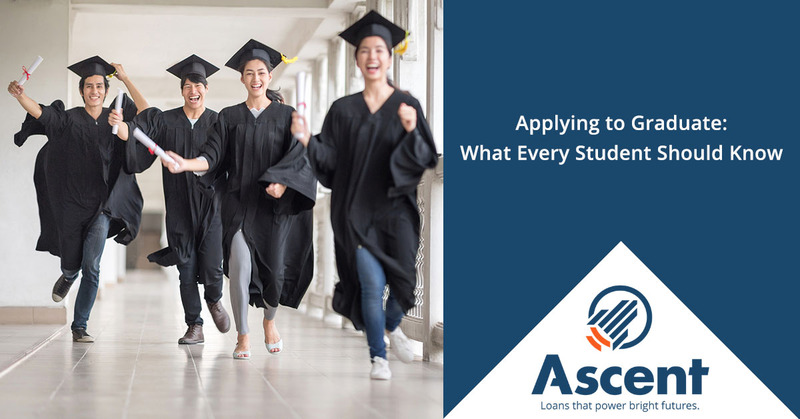 Ascent Student Loans sponsors these blog posts and creates informational content that is of interest to prospective borrowers and our applicants.